UTICA, OH – Velvet Ice Cream announced today that in addition to the annual Utica Sertoma Ice Cream Festival’s Little Miss Ice Cream Princess Pageant, this year will also feature a Little Mister Ice Cream Prince Pageant for the first time ever. 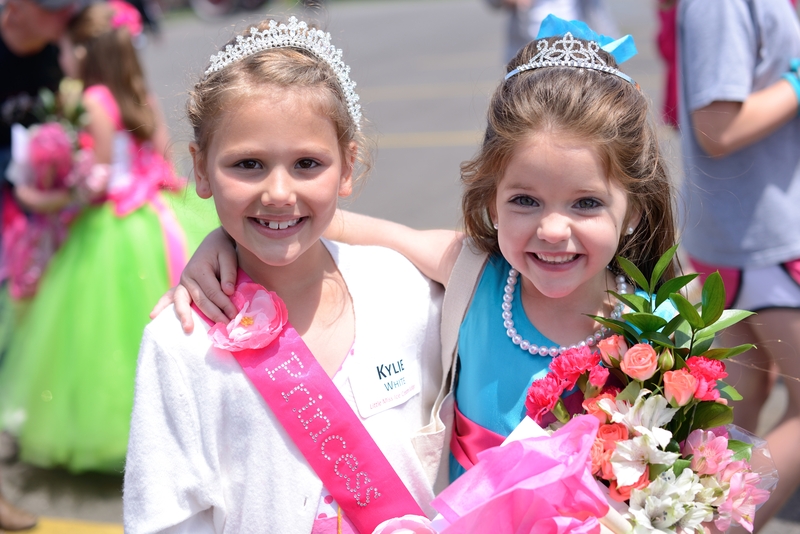 A handful of the cutest kids in Ohio will take the stage on May 23, 2015 at 1:00 p.m. To enter, and for complete contest details, parents may visit www.VelvetIceCream.com or stop by Velvet Ice Cream’s Ye Olde Mill in Utica. Also new this year, the pageant is open to all Ohio residents—not just those in Licking County. Contestants must be six years old on or before May 23, 2015. Pageant entry opens Friday, March 6 and will close once it reaches 15 participants in each contest. Once participants take the stage, they will be asked to tell judges why they should be the next Little Miss or Mister Ice Cream. They will take part in a two-minute stage interview and will be scored by stage presence, interview responses, personality and appearance. The first, second and third-place winners in each contest will receive a gift certificate to Velvet Ice Cream’s Ye Olde Mill in Utica. The top three scoring contestants in each pageant will each be crowned. Parents may email questions to info@velveticecream.com. The 2015 Uitica Sertoma Ice Cream Festival is slated for Memorial Day weekend, May 23-25. The event is free (parking is $5) and takes place at Velvet Ice Cream’s Ye Olde Mill on State Rt. 13, just one mile south of Utica. The festival opens to the public at 9 a.m. on Saturday, May 23, with the kickoff parade starting at 11 a.m. in downtown Utica. Festival details are available at www.SertomaIceCreamFestival.com, with Velvet Ice Cream and Ye Olde Mill information found at www.VelvetIceCream.com. 2015 marks 101 years of business for Velvet Ice Cream. Founded in 1914 by Joseph Dager, four generations of Dagers have since run the company, which is located in Utica, Ohio on 25 acres of the perfect combination of wooded countryside and rolling, pastoral farmland. Still family-owned and operated, Velvet produces and distributes more than five million gallons of ice cream every year from its headquarters on the grounds of Ye Olde Mill. Ye Olde Mill also houses an ice cream and milling museum, a restaurant, playground, picnic area and catch-and-release fish pond. Named by Frommer’s as one of America’s 10 Best Ice Cream Factory Tours, Velvet’s Ye Olde Mill welcomes 150,000 visitors each year for tours, tastings and events. The annual Ice Cream Festival (May 23-25 , 2015), group tour experiences and school learning field trips are among the many draws to Ye Olde Mill, which is open to the public May 1-October 31. Complete information about Velvet Ice Cream and Ye Olde Mill is available www.VelvetIceCream.com.